A tiny tax on financial transactions that has the potential to transform the world. The Robin Hood Tax is a tiny tax on financial transactions that has the potential to transform the world. 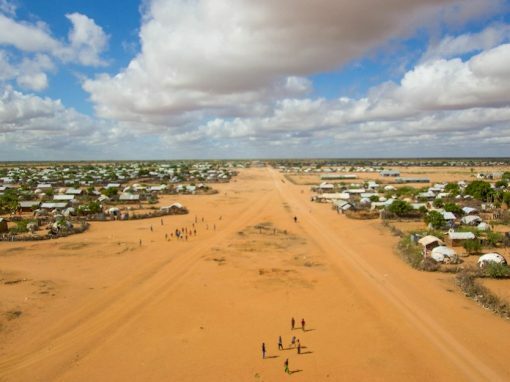 The billions it could raise every year could give a vital boost to the Public health services, schools, and the fight against child poverty – as well as tackling poverty and climate change around the world. We’ve been working with the European campaign creating a series of digital engagements targeting leaders and Finance ministers during negotiations. 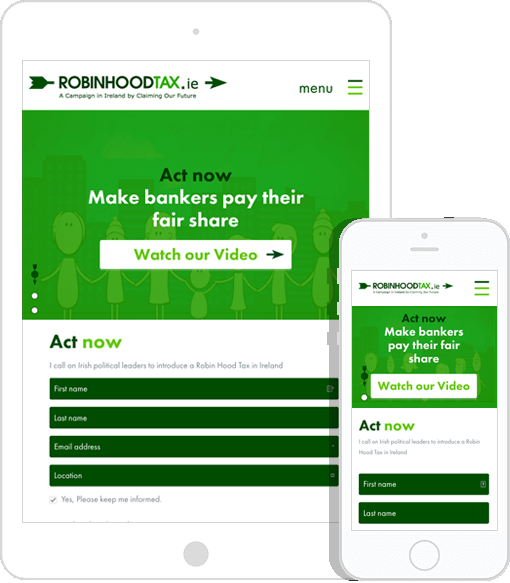 In Ireland we’ve been a founding partner, helping to launch the Irish Robin Hood Tax campaign. The campaign is calling on the Irish government to join the other EU countries and introduce the tax. We directed, scripted and illustrated an animated video to explain the complexity of a Financial Transaction Tax in 90 seconds. We deployed a mobile responsive website to establish authority and communicate the benefits of an FTT to our targets and our supporters. People can join the campaign and receive regular transparent updates on all communications with political parties. We based the website on Drupal with a CRM and integrations with third party mailing list solution and social media channels. 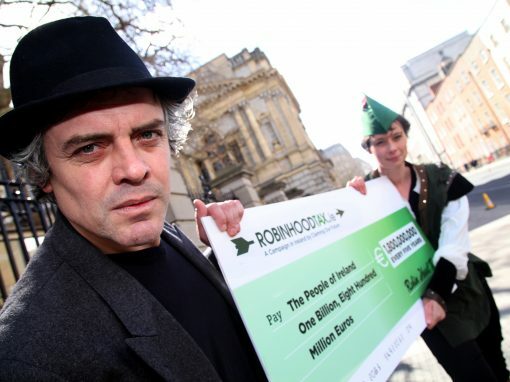 The european campaign for a Robin Hood Tax has reached a significant milestone. In October 2016 the core details of the European Robin Hood Tax were finally agreed. This. Is. Happening. This represents a decisive victory of people power over the banks. 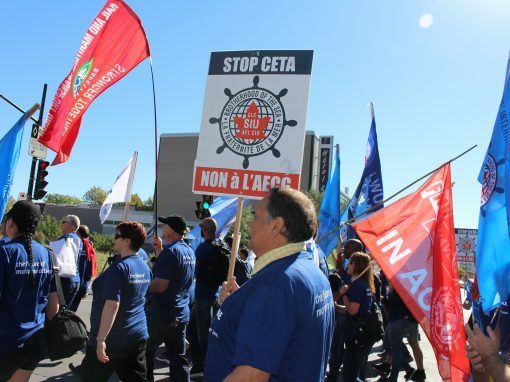 In Ireland, despite Government inertia the campaign is growing. 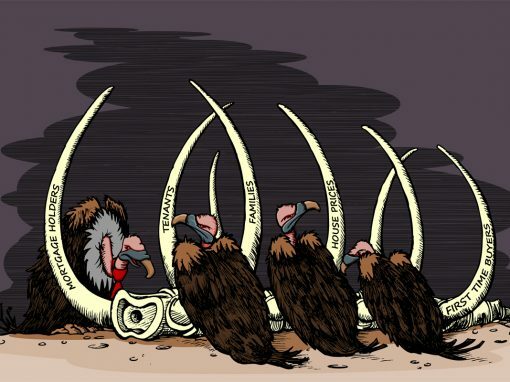 Leading economists and civil society organisations support a Robin Hood Tax. And the public are continuing to join the campaign online. Let’s find out. Fill out the form below to start a conversation. Tell us what you’ve got in mind and we’ll be in touch to schedule a time to explore possibilities.